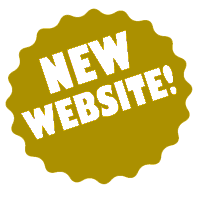 VILLAGE OF FAIRWATER NEW WEBSITE! VILLAGE OF FAIRWATER 104 Main Street Fairwater, WI 53931 Monday, February 4, 2019 6:30 P.M.
Click here to get a PDF copy of this report. Open Book – April 12, 2018, 3:30 p.m. – 5:30 p.m. Welcome to the Village of Fairwater! The community was founded around the water power of the Grand River in 1848 and was incorporated in 1921. The town prospered under a booming hemp economy spurred by the need for strong rope during World War I. Hemp brought direct income to Fairwater farmers, factory workers and the owners of the Fairwater Hemp Company. An efficient, eco-friendly production process used unwanted parts of the hemp plant to fuel the factory's steam power system. The Fairwater Hemp Company closed in 1931. Fairwater is located at 43°44′28″N 88°52′8″W (43.741047, -88.868887).